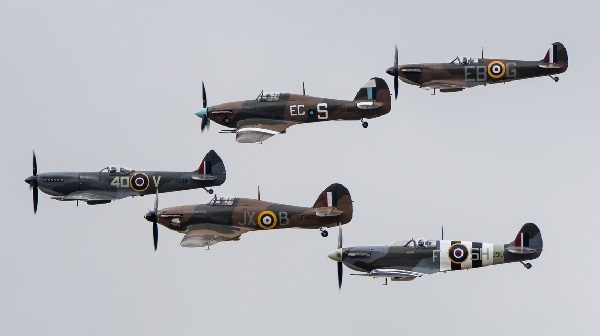 This year’s Biggin Hill airshow was doubly special, forming part of the celebrations marking the centenary of the RAF and falling on the anniversary of what became known as the Battle of Britain’s “hardest day”, 18 August 1940. 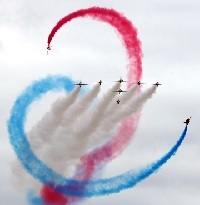 Aviation enthusiasts on each of the two days of the show had a rare treat as Biggin’s runway saw a succession of iconic aircraft from the Great War Display Team through the Battle of Britain Memorial Flight and the Boeing B-17 Flying Fortress to the Red Arrows. Wingwalkers from AeroSuperBatics and the Turbulent Display Team added to the fun. The highlight for many was a special Battle of Britain set piece complete with explosions recreating a wartime dog-fight between Spitfires and Hurricanes against a Bf-109 raid on the airfield. For others, it was the sight of 12 restored Spitfires, products of Biggin’s Heritage Hangar and a similar facility at Duxford among others, assembled for the occasion and taking off in quick succession to perform a series of flypasts to show off their legendary manoeuvrability and the roar of their Merlin engines. The show was within sight of the new Biggin in its modern role as London Biggin Hill Airport, a thriving business-aviation facility. Its proximity to the centre of the capital, vital during the war, is now touted as equally important for users taking advantage of its award-winning VIP handling, a choice of FBOs, extensive hangarage and support and maintenance services for all ranges of business jets. A major success for the airport was the decision by Bombardier two years ago to open a European base there for its next company-owned service centre. It is now the airport’s biggest employer and has doubled its capacity. Successful though it is, this new-look Biggin Hill initially raised concerns that the part the airfield once played might be submerged. This is about to be addressed twofold, with the Biggin Hill Memorial Museum, due to open in November, and an aerospace and technology training college on site at the airport, planned to open in 2020. The museum, opening 100 years after the end of the First World War, is at the site of St George’s RAF Chapel of Remembrance. In a major milestone for the project last year, Bromley Council, in partnership with the Biggin Hill Memorial Museum Trust, received a grant of almost £2m from the Heritage Lottery Fund (HLF) towards the complex. The unanimous award decision was made by the HLF’s London committee who described the project work as ‘exemplary’. 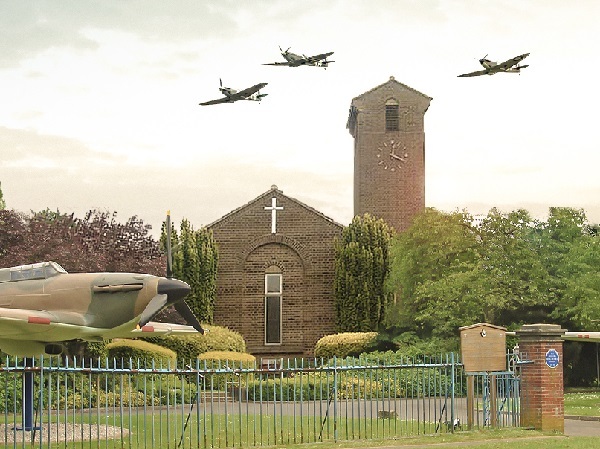 Biggin Hill greeted the decision by saying the award ensured the chapel and Biggin Hill’s heritage would be “protected for future generations with exhibitions that remember the Few and honour the Many”. As reported earlier this year (BTN 26 February), the airport has partnered with London South East Colleges to facilitate delivery of the new state-of-the-art facility, which will train young people in aerospace engineering, aviation business and an array of industry related skills. Courses for the aerospace engineering curriculum have already been launched at Bromley College. Airport chairman Andrew Walters noted the college would give students “unique insight” into their future careers by being at Biggin Hill. He added: “Following a promise made three years ago, and the introduction of our extended opening hours, I am delighted to see this project come to fruition. (See also College briefing for minister in this issue).